In ancient Greece, olive oil was not just a food, but a symbol of health, strength, medicine and also a source of magic and wonder. Specifically, in ancient Greece, athletes rubbed it all over their body because they believed it would give them strength and luck. The olympic winners prize was just a wreath of wild olive. That is how valuable the olive tree was for the Greeks. The nutritional value of olive oil is undeniable, as it contains valuable nutrients for the body and health in general, including vitamins, minerals, fiber, minerals and monounsaturated fatty acids. The reference to the Hippocratic Corpus of more than sixty medicinal uses of olive oil indicates the significance it holds. It is a product that protects against tuberculosis, rheumatism, helps wound healing, reduces bad cholesterol, while it seems to raise good, and is also a shield against cancer and aging. 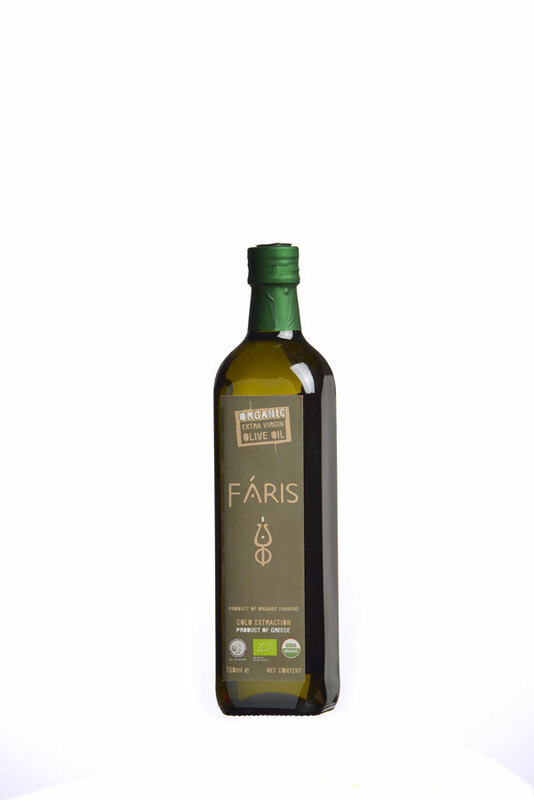 Olive oil is the main ingredient of the food pyramid to the Mediterranean diet, which is a standard healthy diet, as prevents and treats various diseases while offering and longevity. 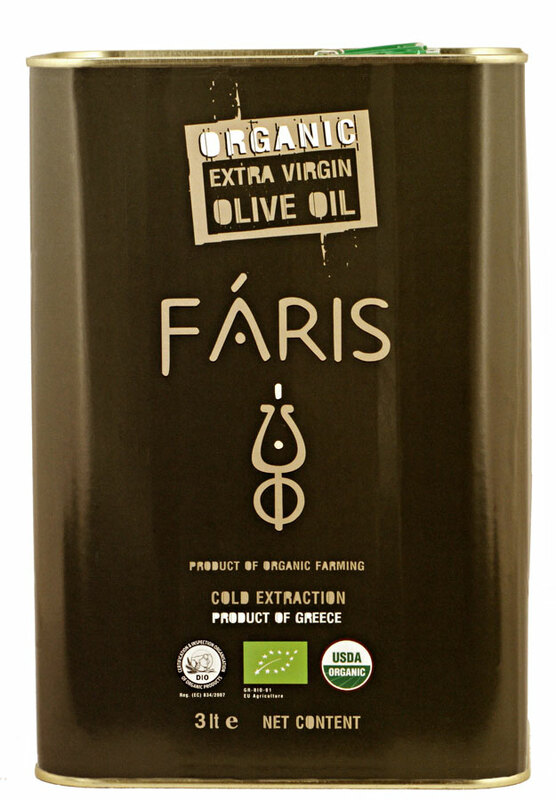 Faris (spelled “Phares”) was a hero in Greek mythology, son of Hermes and the Danaid Phylodameia, and founder of Pharae city in Kalamata. 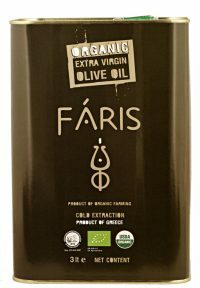 Faris ORGANIC Extra Virgin Olive Oil has excellent flavor and odor and free fatty acid content of not more than 0.6g per 100g (0.6%). It is produced using certified organic methods from the variety “Koroneiki”. It is available in bottles Marasca and Dorica (250ml, 500ml, 750ml and 1lt). Also it is packed in Tins of 1lt, 3lt and 5lt.